I was a bit surprised to see some excitable headlines in my news feeds this week. 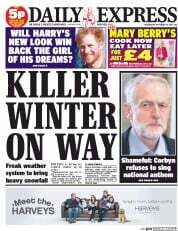 Amazingly, it even included the Daily Express! (For those readers outside the UK, the Daily Express is a daily tabloid whose headlines are generally pretty excitable and usually about how the end of the world is nigh because a little bit of bad weather is coming our way–sorry for you folks in the US battling Grayson–or Princess Diana was part of an alien invasion or similar nonsense). Even more sober news sites were getting pretty hyperbolic about the last OS market share stats from NetMarketShare. I know the return from holiday season may be slow for “real news” but perhaps these sites were being a little over the top. My take on the numbers? Windows 10 is making good progress – maybe not as fast Microsoft may have wished but it’s significant nonetheless. Windows 7 is declining, albeit slowly, and Windows 10 is showing continued growth. Encouragingly, the fastest drops are from the versions that Microsoft are most keen to see die, especially Windows XP. Some factors to consider when assessing the stats: there was a massive initial uptake of Windows 10 in the consumer space because of the very attractive free upgrade offers they made available (as many as 350 million devices were upgraded in the first 11 months). Enterprises have been slower to get their upgrades moving than many analysts and experts thought. The last couple of years have been “this is the year when Windows 10 really takes off.” I think there’s good reason to believe that prophecy will finally come true in 2018. The end of support for Windows 7 is now only 2 years away – that’s really starting to focus the minds of IT organizations who remember the panic at the end of Windows XP support and don’t want a repeat of that. Secondly, it’s been almost impossible to buy new hardware in the last year or so without Windows 10 pre-installed. With enterprise PC refresh cycles typically being 3 or 4 years, there will be a lot of new PCs deployed this year with Windows 10. Finally, we are probably seeing the confidence and opportunities that Windows 10 can bring. Application compatibility has been much better than with Windows 7 and the frequent release cycles of Windows 10 which deliver new functionality for business advantage are looking attractive (and look out for much more this year). And don’t forget Windows 10’s advanced security features: after the WannaCry and NotPetya attacks last year, most teams are looking to improve their security posture in 2018. That’s not to say it’s all easy going from here on in. Those frequent releases also mean much more frequent “end of service” dates (each Windows 10 release only has an 18-month lifespan) and deploying all these new PCs could be an expensive proposition without solid automation. Obviously, 1E has a lot to offer to alleviate these issues. So, I doubt Microsoft is getting quite as depressed about the stats as the tabloid press, but they won’t be jumping for joy just yet either. Now, to get back to the news. Apparently, it’s going to be a little bit breezy this week.